In addition to Career Counseling, the Department of Veterans Affairs provides the interest and aptitude assessment tool known as CareerScope at no cost to all eligible benefit recipients. CareerScope has been used frequently by Veterans to determine the best career path for transition to civilian life. Whether you wish to pursue education and training in a field you already know, or you wish to branch out to other fields that interest you, CareerScope can help. With CareerScope you will be provided with an assessment of your interests and aptitudes, and given recommendations about which careers you may enjoy and be successful doing, and what courses or training programs you should focus on to pursue those careers. 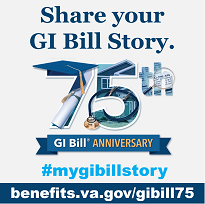 This document should be used in conjunction with the results you receive from completing the assessment tool.You can also take advantage of VA's free Educational & Career Counseling (see below). To access CareerScope you must be a Servicemember, Veteran or dependent eligible to receive VA education benefits. Clicking "I am eligible" confirms you qualify to complete CareerScope and to apply for Education and Career Counseling. VA's Education and Career Counseling program is a great opportunity for Servicemembers, Veterans and dependents to get personalized counseling and support to help guide their career paths, ensure most effective use of their VA benefits, and achieve their goals. Select "Vocational Rehabilitation and Employment Benefits"
Apply for "Educational and Career Counseling"
Maybe you missed it the first time around but you can always check it out again on our TAP resources website.